Hand Drawn Vector Abstract Template Card Hello Lettering For Greeting With Arrows,retro Roller Skates,pineapple Smoothie,and Black Brush Rainbow.Summer Abstract Textured Outdoor Fun Illustration. Royalty Free Cliparts, Vetores, E Ilustrações Stock. Image 116035467. 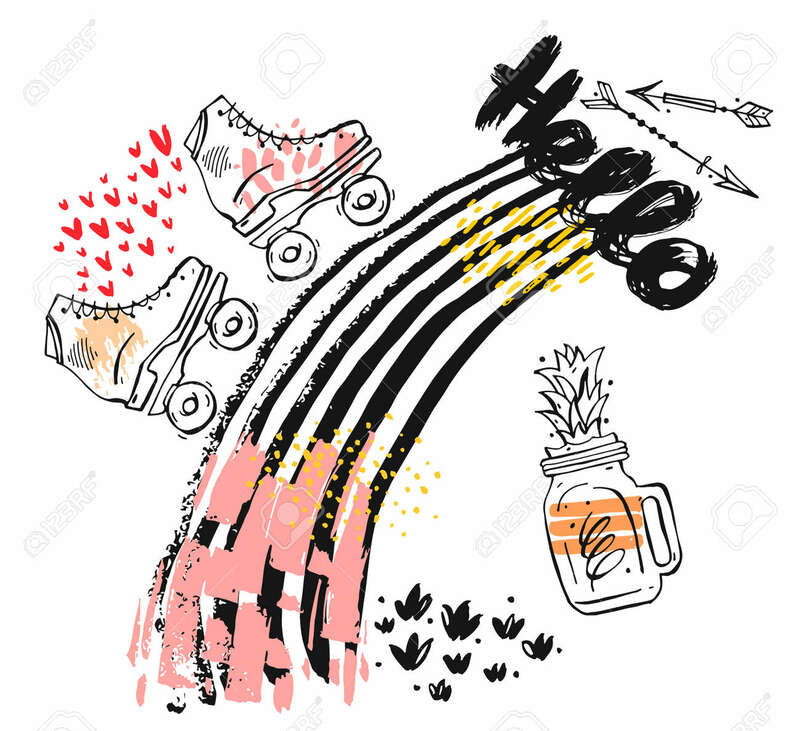 Imagens - Hand drawn vector abstract template card Hello lettering for greeting with arrows,retro roller skates,pineapple smoothie,and black brush rainbow.Summer abstract textured outdoor fun illustration. Hand drawn vector abstract template card Hello lettering for greeting with arrows,retro roller skates,pineapple smoothie,and black brush rainbow.Summer abstract textured outdoor fun illustration.